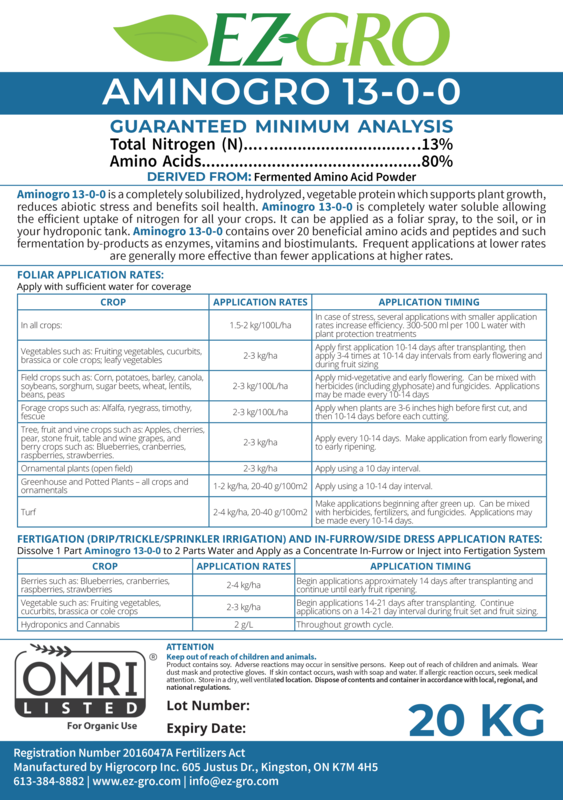 Aminogro 13-0-0 is a plant macronutrient supplement containing 13% water-soluble nitrogen derived from amino acids. Nitrogen is a critical nutrient for proper development of all plants, and without adequate amounts, fruit and flower size and yield can be drastically reduced. As crops are harvested, soil nitrogen is depleted, risking the starvation of future progeny. Use Aminogro to feed your plants this essential element and improve the overall production quality and quantity.